YouTube is one of the largest social networks today. The increasing number of users on this platform creates endless opportunities for businesses in marketing and social aspects. YouTube has attracted billions of users across the world and according to recent studies, 300 hours of video content are uploaded to YouTube every minute! Almost 5 billion videos are watched on YouTube every single day in an average month. So, here are some tips on how to get more YouTube views, if you want to take advantage of this huge platform and succeed in it like a real pro. The mathematics mantra applies here: YouTube users don’t only watch one video, they watch at least 2 or 3 videos every time they visit the site. In this case, your viewer is probably already watching one of your videos, so all you have to do is encourage him or her to watch at least one more. This is a sure way to gain views in your other videos almost instantly. At the end of all videos, offer the viewers to watch more content that might interest them (always suggest the most relevant content). It is an almost definite method to ensure you will get more YouTube views from your existing user base. Be sure to provide a correct link at the bottom of the screen or zoom in on the middle of the screen after the video. Also, you can be even more proactive and invite viewers to subscribe, like, comment and share your content throughout your video. This is the most basic technique, which you already should have implemented by now. Again, include a link to make things easier for the viewers and lead them to watch other videos you have on your channel. The titles on your videos matter a lot when it comes to the number of views you’re getting. Take the time to conduct a proper research on your niche, viewers and keywords you are targeting. Find out what they like to watch in your area of specialization, identify keywords and creatively include them in all of your video titles and descriptions. Most users on YouTube forget that it’s a social media platform and visibility largely depends on search engine optimization (SEO). Proper choice of keywords guarantees you a high ranked appearance on YouTube search engines; this, in turn, automatically translates to more YouTube views. In fact, videos on search engines are visible to anybody, and if you play your SEO cards well you will get more YouTube video views without any extra hassle. Social media platforms are overwhelming with the number of posts uploaded constantly. Viewers on YouTube, for instance, do not have time to go through every single detail of a video suggested to them in the search results in order to choose the perfect one for them to watch. Scanning skills are at their best when it comes to YouTube. Ideally, you only have 5 seconds to win a viewer’s attention and make him or her click on your video, so you better make these few seconds matter! Don’t use the generic thumbnails provided by YouTube’s system - be creative and use more eye catching techniques that will stimulate your viewers’ curiosity. Find images that relate to your content and are attractive to your target audience and you will easily get more views on YouTube. You must know your audience if you wish to become an authority channel in your realm. Since YouTube is a social media platform, you should treat it as such. Don’t only post videos and remain silent expecting people to view and like it. You have to publicize your channel, you need to get social! Respond to compliments, comments (even negative feedback) and requests on your posted videos and appreciate people for viewing, even if they may not comment back and like your replies. By engaging and interacting with your viewers, you are establishing a relationship and a rapport, which is the essence of social media. Before you know it, people will start subscribing to your channel because they feel more comfortable doing so. The results? Of course, more YouTube views on your videos. Be sure your channel is integrated with other social media profiles. Let the viewers know who you are; its social media, after all! Let viewers find you on Twitter/Facebook/Instagram and connect with them. Be a real person, with real life. 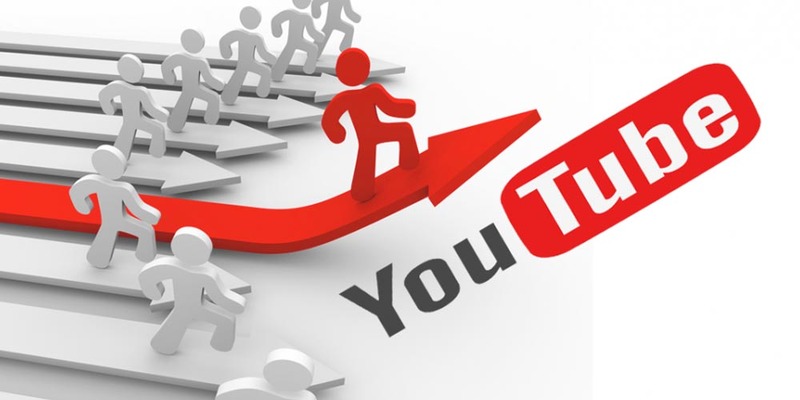 Integrating your YouTube channel with other social media profiles is a sure strategy of attracting more viewers. Other social media platforms offer you a chance to market the videos and channel by sharing links. Be sure to include the YouTube link on your profile’s bio section. Let people know what you do. This is more of a trick than a technique. If you are specializing in a niche, you are missing a lot if you haven’t created playlists sorted by sub-type subjects. By the time a user on the platform goes to your channel or video, they must be interested in something specific, which happens to be your niche. A playlist of videos in that field will guide the user to watch your next videos and will increase your channel general watch time. If you want to get YouTube video views without waiting too long, then buying YouTube views is a path you might wish to consider. One of the reasons you want to have more views is because you want to succeed and being popular on YouTube. When you buy organic views, real people watch your videos and they can become part of your audience. Additionally, views can drastically increase your social proof and make you look much more legitimate in their eyes. Not only that - buying views will take you to a high watch time average, so you will not only improve your social proof but also increase your ranking on the YouTube search page within a relatively short period of time. If you’ve decided to buy YouTube views, it will surely help you achieve your YouTube marketing goals effectively and quickly! Thanks for reading our tips! We have no doubt that if you follow those simple rules, it will eventuyally help you gain more views on your YouTube videos!